FIXYOURTHINKING.COM / Need a brain? Borrow mine! : Wel-come to the social: Only 50 to 60% of you can party! Wel-come to the social: Only 50 to 60% of you can party! In a non-scientific sampling of popular artists by Zunerama and Zune Thoughts, it looks like it’s roughly 40-50 percent of artists that fall under this prohibited banner, and the worst news is that there’s no warning that a song might be unsharable until you actually try to send it and fail. 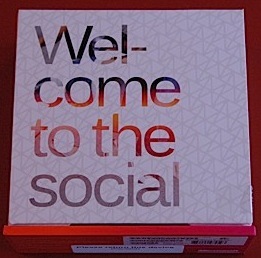 Wel-come to the social. Indeed!